OKLAHOMA CITY – Governor Mary Fallin today announced the appointment of former state Sen. Clark Jolley to the Oklahoma Tax Commission. He succeeds Dawn Cash, who resigned earlier this month. Jolley’s appointment to the Tax Commission requires confirmation from the state Senate. His term would expire Jan. 10, 2023. Jolley, of Edmond, serves as an adjunct professor at Oklahoma Christian University and Mid-America Christian University. He served in the state Senate from 2004 until 2016, the last five years as chairman of the powerful Senate Appropriations Committee. He could not seek re-election because of 12-year legislative term limits. 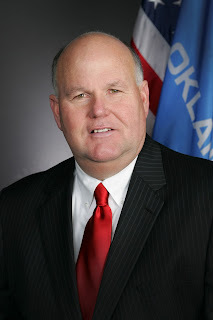 Jolley earned two degrees from Oklahoma Baptist University, a law degree from the University of Oklahoma, and a certificate in public treasury management from the National Institute of Public Finance at Pepperdine University in Malibu, Calif.
"It is an honor to serve the people of Oklahoma and I appreciate the governor’s confidence in my abilities to perform the duties as a member of the Oklahoma Tax Commission,” Jolley said. He and his family make their home in Edmond, where his children attend Edmond Public Schools. According to Fallin's Communications Director Michael McNutt: "if confirmed, Sen. Jolley would be paid $131,835 a year. All three commissioners are paid. Their salaries are tied to judicial pay, which is recommended by an independent commission and approved by the Legislature. The last pay change was approved in 2014." 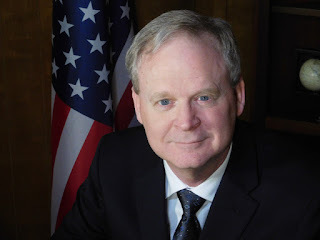 McNutt further stated that "A 1985 state attorney general's opinion addressed the question of a former state senator being appointed to the Oklahoma Tax Commission." In years past, the hiring of ex-legislators has been the cause of some controversy, due wording in Article V, Section 23 of the state constitution. To mark the beginning of spring, this week's Music Monday is Concerto No. 1 in E major, Op. 8, RV 269, "Spring" (La primavera), from 18th-century Italian composer Antonio Vivaldi's famous Four Seasons suite. 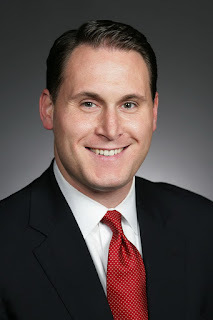 With Matt Pinnell considering a run for Lieutenant Governor, it would be interesting to have two popular former OKGOP chairs running for statewide office. This is hands down the best article I've seen on the failure of the AHCA (aka 'SwampCare', aka 'RyanCare', aka 'TrumpCare', aka 'ObamaCareLite', aka 'Renege & Repair') by Philip Klein of the Washington Examiner. Here's part of the article - you can and should read it in full here. Broken promises are as old as politics itself, and there are many famous examples of them in modern history. President George H.W. Bush's "read my lips, no new taxes" pledge comes immediately to mind, as does President Bill Clinton reneging on his middle-class tax cut, and President Barack Obama never closing Guantanamo Bay. But in each of those cases, those were promises that were made in a given campaign by a given politician. The promise of Obamacare repeal is much different. Republicans ran on repealing and replacing Obamacare for seven years, over the course of four election cycles. They won the House majority in 2010 in large part because of the backlash against the passage of Obamacare — and the vow to "repeal and replace" Obamacare was part of their "Pledge to America" campaign document that year. The botched rollout of Obamacare helped them win the Senate in 2014. House candidates, Senate candidates, gubernatorial candidates, and even state legislative candidates ran against Obamacare — and won. Though President Trump was always an unorthodox candidate on healthcare (vacillating between praising single-payer and touting a free market plan), he consistently campaigned on repealing and replacing Obamacare, and exploited news of spiking premiums in the weeks leading up to the presidential election. Republicans were always moving the goal posts on voters. That is, during campaign season, they made boasts about repeal, and then once in office, they talked about procedural complications. In 2010, they campaigned on repeal, but by 2011, they said they needed the Senate. In 2014, they won the Senate, but by 2015 they said as long as Obama was in office, nothing would become law. In 2016, they told conservative voters, even reluctant ones, that if they voted for Trump despite any reservations, they'd finally be able to repeal Obamacare. In November, voters gave them unified control of Washington. And yet after just two months on the job, they have thrown in the towel and said they're willing to abandon seven years of promises. There are a lot of people who want to conveniently lay the blame for this stunning failure on recalcitrant members of the conservative House Freedom Caucus. If only these conservative hardliners were willing to give way, we'd be on the road to repeal, defenders of leadership would like to have us believe. This is convenient, both because there are always people in Washington eager to take aim at conservative purists, and also because it has the makings of a great ironic hot take for journalists: "How conservatives saved Obamacare." Now, let me be clear, in past fights, I've never been reluctant to criticize hardliners when I thought that they were being unreasonable or irresponsible. For instance, I disagreed with the hard-line position on the debt ceiling, didn't think forcing a government shutdown to defund Obamacare would work, and supported the deal that made most of the Bush tax cuts permanent (as opposed to letting them all expire). But I don't think it's fair to scapegoat Freedom Caucusers here. They are being blamed for making the naive mistake of assuming that Republicans wanted to do what they were promising to do for seven years. In this case, the hardliners were playing a productive role by pointing out the real policy consequences of the piecemeal approach being pursued by the House leadership. Though we'll never know for sure how the numbers might have looked if a vote had taken place, it's clear that many centrist members of the Republican caucus were also prepared to vote this bill down. House conservatives, if they could be blamed for anything, it's for having the audacity to urge leadership to actually honor seven years of pledges to voters to repeal Obamacare. If anybody was moving the goal posts, it wasn't Freedom Caucusers, it was those who were trying to sell a bill that kept much of Obamacare's regulatory architecture in place as a free market repeal and replace plan. Sure, I know, Republicans had a narrow majority, and they could only pass something through the Senate by reconciliation, which imposes limitations. But the thing is, Republicans don't hide behind the vagaries of Senate procedure during campaign season. Trump did not win the Republican nomination telling rallies of thousands of people, "We're going to repeal and replace Obamacare — as long as it satisfies the Byrd rule in the judgment of the Senate parliamentarian!" What's so utterly disgraceful, is not just that Republicans failed so miserably, but that they barely tried, raising questions about whether they ever actually wanted to repeal Obamacare in the first place. Read the full article at the Washington Examiner (they really need to tone down the popup ads, though...). After a lot of drama and negotiations this week over the Affordable Health Care Act, U.S. House leadership pulled the bill and canceled a vote on the measure. The ObamaCare repeal replacement repair plan had taken heavy criticism from conservatives in both the House and Senate, but especially from members of the House Freedom Caucus. After seven years of promising to "repeal and replace ObamaCare", Speaker Paul Ryan and President Trump came up with a lame excuse of a healthcare plan, with no full repeal, no full replacement, and essentially just tinkering around the edges. Earlier in the week, it looked like the bill would pass, with a lot of strong-arming from leadership and pressure from Trump and Vice President Mike Pence. 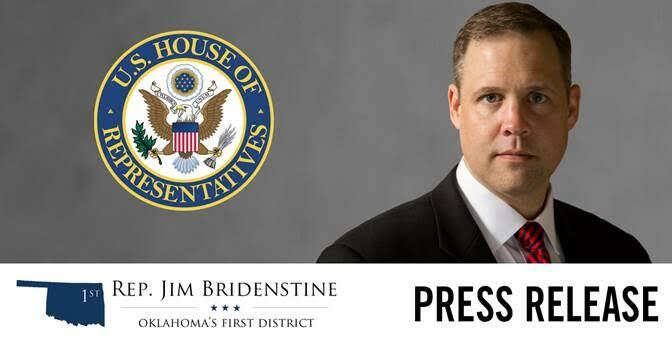 Even Oklahoma's Jim Bridenstine (a Freedom Caucus member) caved and lent his support late Wednesday night - although I imagine he might regret that decision now. However, most Freedom Caucus members held firm in their opposition, and after the vote was postponed to today, then to this afternoon, other more moderate Republicans began to bail. Now, it appears that House Republicans may be moving on from healthcare reform altogether, rather than taking up the repeal bill passed with almost unanimous Republican support just last year that President Obama then vetoed. From Allahpundit at HotAir: "So … that’s it? An ill-conceived two-month effort in the House falls short and Republicans throw in the towel on seven years of trying to replace ObamaCare? The White House doesn’t want to offer its own alternative? McConnell has nothing in the pipeline he might want to suggest?" After the bill was pulled, President Trump told news reporter Robert Costa "No, I don’t [regret starting his agenda with healthcare], but in a way I’m glad I got it out of the way." After posting that quote, Allahpundit continued: "You’re glad you “got it out of the way”? Republican voters handed them the House in 2010, the Senate in 2014, and the White House in 2016, and we got exactly 63 days of meaningful effort to unseat O-Care." The House Freedom Caucus just saved the Republican Party from itself and saved the United States from a Republican attempt to just do something on health care no matter how bad that something might be. They stood on principle and are being assailed for it by the Republican establishment. The legislation was deeply flawed and would have hurt a great many Americans. It would have made it harder for free market solutions to lower costs in health care and would have harmed senior citizens. Obamacare is a terrible piece of legislation and Republicans promised for seven years to repeal it. The American Health Care Act embraced Obamacare and kept it. The House Freedom Caucus stood up both to the Republican leadership in Congress and President Trump and demanded promises made be promises kept. They also exposed Republicans as having no intention of ever really repealing Obamacare. In 2015, Republicans passed a plan through Congress that would have repealed Obamacare. All the people who voted for it are still there. It passed the House and Senate. That should have been the starting framework. But like the dog that caught the car, Republicans did not know what to do once they finally had the House, Senate, and Presidency. Their first reaction was to abandon their small government principles and free market beliefs to prop up a government run health care scheme. The only people who stood up for the free market and the people are members of the House Freedom Caucus. They are owed our thanks. Lastly, I should note that the only reason we have a House Freedom Caucus is because John Boehner led an establishment coup of the Republican Study Committee. The once great organization converted into an organization that rubber stamps the agenda of leadership with elaborate kabuki theater to make it seem like the outcome was in jeopardy when it never was. Sadly, the RSC’s behavior in this proves the House Freedom Caucus is still needed. Republicans need accountability partners, not yes men. Mark Meadows, Jim Jordan, and the House Freedom Caucus are brave to shoulder the weight of accountability when others wish they would serve as yes men. They have done well today. Like I said earlier this month, Republicans were elected to power based on the promise of full repeal. 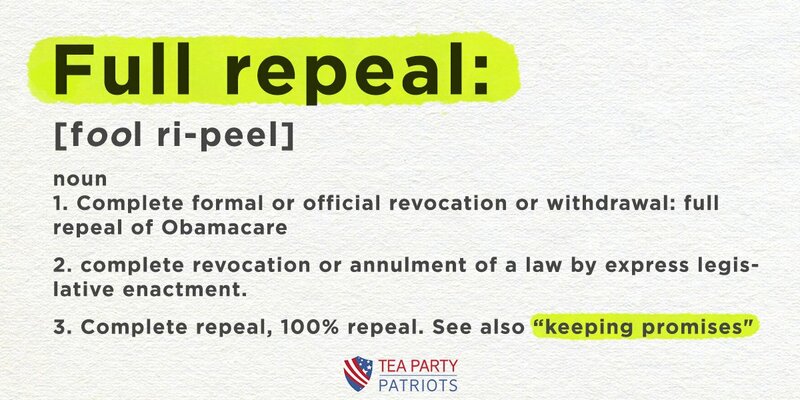 We expect nothing less than full repeal. Republican member of Congress need to keep their promise, and pass full repeal of ObamaCare. If they don't follow through, then what is the point in electing them? I hereby resign effective immediately from the Senate of the State of Oklahoma. It has been my honor to serve the constituents of the 44th Senate District since 2010. I appreciate the service the men and women of the Oklahoma Senate provide, and I recognize the need for the business of the Senate to proceed without distraction for the remainder of the legislative session. Earlier today, I submitted my resignation, effective immediately, to the President Pro Tempore of the Oklahoma Senate, as well as to Governor Fallin. I thank the constituents of Senate District 44 for the opportunity they provided to serve. Because I take that responsibility seriously, I recognize that the charges against me are a distraction to their interests and the remaining legislative session, which should serve all Oklahomans. My resignation is evidence of my respect for public service and the duties of our elected officials. I ask for the privacy of my family - my wife and four daughters - as I defend myself of these charges. 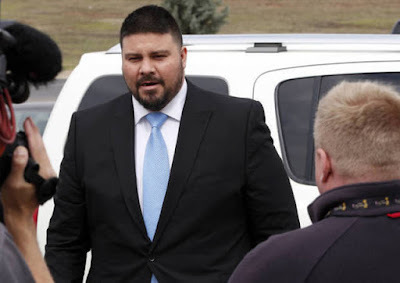 Thus ends - in shocking fashion - the political career of Ralph Shortey. Tom Coburn's Foundation to Restore Accountability has launched Tournament of Waste: Bitter 16, a March-Madness style contest designed to bring attention to the worst waste, fraud, abuse and duplication in government spending. Click here to vote in the Bitter 16. Submitting picks enters you in a drawing for a $100 Amazon gift card. The vote on the American Healthcare Act is a very tough decision. As the Representative of the First District of Oklahoma, my philosophy has been to fight for the most conservative option possible, and I often vote “No” to get to a “better Yes”. Today, I decided the American Healthcare Act is the best “Yes” that the House is able to accomplish legislatively at this time. Conservatives worked very hard to improve this bill, and while we hoped for a better bill, this is a dramatic improvement over Obamacare. Obamacare is collapsing on itself with massive increases in premiums and deductibles so high that some families are effectively uninsured. Many states have lost health insurance providers where companies cannot afford to offer Obamacare-compliant policies. A third of all counties, including every county in Oklahoma, have only one provider on the exchanges this year and another third have only two. Seven years ago, Obamacare took over nearly 20 percent of the U.S. economy, and unwinding that tangled system is extremely complex. This bill effectively repeals the individual and employer mandates, cuts $1 trillion in taxes, and reduces the deficit by hundreds of billions of dollars over ten years. The bill fundamentally transforms Medicaid from an open-ended and unsustainable entitlement to a State-centered system which caps the Federal contribution and maximizes flexibility for the States. The Medicaid reforms alone will save trillions over the long-term, help move millions of people onto private insurance, and preserve the safety net for the most vulnerable. Most important to me, this bill prohibits funds from going to the nation’s largest abortion provider, Planned Parenthood, and redirects federal funding to Community Health Centers. This provision alone merits support even though the bill falls short of what conservatives wanted to accomplish. I am disappointed that this legislation did not include provisions to repeal the Obamacare health insurance regulations which are the root cause of skyrocketing premiums and employers dropping coverage. Fortunately, Tom Price, Secretary of Health and Human Services, will exercise his authority under the law to remove costly Obamacare regulations. I also have great reservations about the bill’s refundable tax credit scheme, which is essentially a different version of the Obamacare subsidy program. In my judgment though, this is the opening legislative salvo of the Trump Presidency, and we cannot let it fail when we do not have a shot at a better option. Therefore, I will vote “Yes”. The Oklahoma Senate on Tuesday approved a handful of judicial reform bills, including measures that would change the way state judges are appointed. “These reforms are a measured approach to help restore the balance of power among the three, co-equal branches of government in Oklahoma. Too many times, we’ve seen the judiciary extend beyond its constitutional role and instead take on the role of a super-legislator. These changes also will roll back the outsized role the trial lawyers play in appointing judges to the bench. 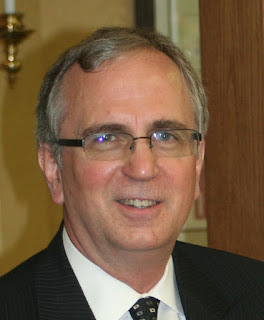 The governor’s office and the members of the Senate are directly elected by the citizens of Oklahoma and should be afforded more authority and responsibility in judicial appointments,” said President Pro Tempore Mike Schulz, R-Altus. Sen. Anthony Sykes, chairman of the Senate Judiciary Committee, offered several of the judicial reform measures. “Failing to enact judicial reforms continues to put Oklahoma at the mercy of a system that gives too much power to a select group of trial lawyers instead of the duly elected representatives of the people. The governor and members of the Legislature are immediately accountable to the people for the decisions they make. These common-sense reforms will provide more accountability and help put more power into the hands of the people, as our founders intended,” said Sykes, R-Moore. SB 708 (Sykes) requires a district judge to have served as lead counsel in at least three jury trials before being elected or appointed to serve on the bench. SB 779 (Sykes) changes the amount of judges each judicial district may nominate. SJR 44 (Sykes) would allow voters to decide whether to amend the Constitution to modify the judicial nominating process. Under this proposal, the JNC would provide the governor with five qualified nominees to fill a judicial vacancy, instead of the current recommendation of three nominees. The governor would be allowed to reject those nominees and request five new nominees. 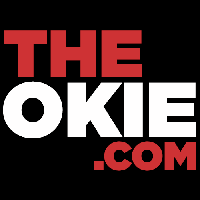 The governor would then select one nominee, whose name would be forwarded to the Oklahoma Senate for confirmation. SB 213 (Sen. Nathan Dahm, R-Broken Arrow) would change the boundaries of Oklahoma Supreme Court judicial districts to correspond with the number of congressional districts in Oklahoma plus adding at-large positions. 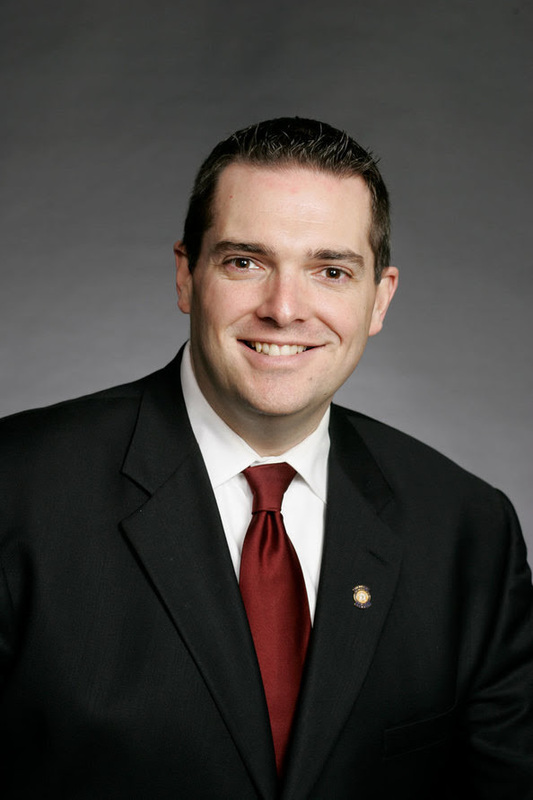 OKLAHOMA CITY – State Rep. Scott Martin today announced that at the end of this legislative session he will resign his seat in the Legislature to lead the Norman Chamber of Commerce. At its Board meeting today, the Norman Chamber named Rep. Martin its next president and chief executive officer beginning June 1. He has submitted the appropriate paperwork to Governor Mary Fallin and Oklahoma House of Representatives Speaker Charles McCall, tendering his resignation from his House seat effective May 31. "It has been the honor of a lifetime to serve the people of House District 46 for the last 11 years in the Oklahoma Legislature,” said Martin, R-Norman. “Due to term limits, I knew my legislative tenure was coming to an end. As I contemplated life after the Legislature, I was certain I wanted to continue to be part of something that would have a lasting impact on my family and community. The Norman Chamber of Commerce is an organization that makes such a difference. Therefore, when the opportunity with the chamber presented itself, I decided to do something I had not previously considered, end my term prior to its natural expiration. 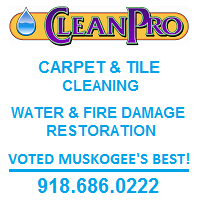 “I can’t think of a better place to use my talents and energy than the Norman Chamber of Commerce. Their mission to build economic prosperity is vital to our community and one that helps drive everything else that creates the quality of life we all desire. My legislative career has shown that I understand the importance of a thriving business community, and my commitment to that end is evident in my voting record. "As I discussed this opportunity with the chamber search committee, I expressed my sincere desire to extend my service through this legislative session so that my constituents would continue to have their voice heard and represented until the very last vote is cast. My passion for education, public safety, transportation, and healthcare hasn’t waned, and I will fight to the bitter end to make sure my constituents have a strong and steady common-sense voice at the Capitol. It’s the least I could do for people who have entrusted me with the privilege of representing them for so many years. "I am so excited about beginning this new chapter in my life with the chamber. My family and I are wholly invested in Norman, and I look forward to growing the chamber and advocating for business at every turn. I show up to work every day with the same goal in mind, to make a positive difference. That goal won’t change as I transition to this next phase in my professional life, but until June 1, my focus will continue to be serving the people of House District 46." OKLAHOMA CITY – A bill that seeks to ban abortions in instances of certain birth defects passed out of the House this afternoon with a vote of 67 to 16. The Prenatal Nondiscrimination Act of 2017, House Bill 1549, seeks to prohibit abortion solely because the unborn child has been diagnosed with either Down syndrome or a genetic abnormality or has the potential for a genetic abnormality. The bill would also hold physicians who violate this measure liable. HB1549 will now be sent to the Oklahoma Senate. "It is impossible to predict every issue that will come before the Legislature. However, if you send someone who shares your principles, values, and convictions, when the issues arise, they are likely to decide and vote on them as you would. I know Tressa Nunley to be Pro-Life, a person of sincere faith, and a candidate who is trusted by several of my conservative friends." Nunley has also been endorsed by Tulsa County Assessor Ken Yazel and State Rep. George Faught (R-Muskogee). The Republican primary will be held on May 9th. A district map can be viewed here. Four Republicans and two Democrats are running to fill the seat being vacated by disgraced Rep. Dan Kirby, who resigned after an investigation into his alleged sexual harassment of two previous legislative assistants. Citing Congressman Markwayne Mullin's term limit pledge, Republican Brian Jackson of Muskogee has announced his campaign for Congress in the 2nd District. 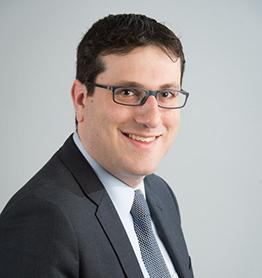 Jackson is an associate professor of economics and accounting at Northeastern State University in Tahlequah. Before joining the NSU faculty in 2008, he worked as a scientist for the U.S. Government/Central Intelligence Agency, and is a volunteer chapel speaker and former member of the board of directors for the Gospel Rescue Mission of Muskogee. After much prayer, reflection, and discussion with family and friends, I have decided to run for election to the U.S. House of Representatives for Oklahoma’s District 2. I would like to thank Representative Markwayne Mullin for his service to our great state and the citizens of District 2, and especially for his efforts to oppose The Affordable Care Act (“Obamacare”). With his term limit pledge coming up in 2018, I want to continue the tradition of carrying Oklahoma’s conservative values to Washington. The decision to run for public office is not something I have reached lightly. I have arrived at a season of my life where I can give my undivided attention to my community and my country. As a free-market economist, I will promote solutions to our nation’s fiscal challenges. As a father and grandfather, I will seek to preserve and protect our constitutional rights. As a Christian, I will defend America’s long-standing respect for the gospel of Jesus Christ. Learn more about Brian Jackson by visiting his website and Facebook page. Congressman Ken Buck (R-CO) posted this video on the national debt, also starring Cong. Trey Gowdy (R-SC), Cong. Mia Love (R-UT), Sen. Mike Lee (R-UT), and Sen. Ted Cruz (R-TX). State Sen. Ralph Shortey (R-OKC) has officially been charged with three felonies related to child prostitution, after police discovered Shortey with a teenage boy at a motel in Moore last week. Shortey turned himself in around noon, and posted his $100,000 bond around 2:00pm. KFOR has more details, along with disturbing and graphic details of the exchanges between the 35 year-old Shortey and the 17 year-old boy. 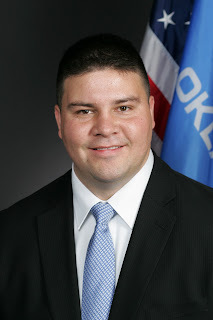 Yesterday, the State Senate voted to strip Shortey of just about everything short of outright removal from office - his committee vice-chairmanship and memberships, authored legislation, executive assistant, office, parking spot, and state-issued laptop. If he doesn't resign before Monday, I'd expect the State Senate to move to expel him. Let us start talking about health care by getting a few things out of the way. First, looking for government solutions to health care is a lost cause. We can quibble, but in the end, any plans coming out of D.C. are going to be based on special interests and political advantage. The second is the error of conflating health care with insurance. Health care insurance is not health care, any more than car insurance is car maintenance. To fix our system’s problems, we have to move away from treating health insurance as a cost-sharing plan for non-catastrophic, non-major medical care. Real solutions are happening right now across Oklahoma and the U.S. as providers in several areas of care are stepping away from the fantasy pricing of the insurance-based system. A growing number of providers are offering transparent pricing and bundled care for their goods and services.Would you like to get effectively unlimited care as needed from your physician for $50-$100 a month? There is a growing number of physicians doing just this. It is a model called Direct Primary Care. In this model, clients pay a monthly subscription fee. Routine care, even for things like stitches, are covered by the subscription. Most include the ability to contact the physician digitally or by phone with questions or concerns, which becomes a great convenience for clients. Many also include the ability to get needed medications, labs, and imaging without the normally bloated pricing, often for pennies on the dollar. These savings alone, in a great many cases, are more than enough to cover the cost of the monthly subscription. Honest and competitive pricing is being realized in other areas as well. Not long ago, I was looking to get X-rays for a client. A certain nonprofit quoted a $350 price tag, which included the radiologist’s report. At an imaging center not taking insurance, I was able to get the same service for $56. You see similar differences in pricing for MRI, CT, and other imaging. Surgery is another area benefiting clients with price honesty and transparency.There are now state-of-the-art surgery centers in Oklahoma and across the U.S. that actually list their prices, and those prices are often 10-20 percent of the price charged in hospitals and other insurance-based systems. It isn’t rare for the prices at such centers to turn out to be less than the out-of-pocket portions for the same procedures done at locations playing the insurance game. So, right now, there is a growing availability of care that costs less than many spend for coffee, internet, or a phone in a month. Honest, market-based pricing is bringing down costs, and making care more affordable and accessible. Though we have a long way to go, there is a health care revolution happening now, and it is being done by patients and providers. For those interested, the Free Market Medical Association is a great source to find and reach out to the health care innovators and providers that are bringing real solutions to our communities. Dr. Shannon Grimes is a chiropractor in Tahlequah, former chairman of the Cherokee County Republican Party, and current chairman of the Cherokee County Libertarian Party. Yesterday, news broke that police were investigating State Sen. Ralph Shortey (R-OKC) following an incident involving Shortey and a teenage boy at a local motel. KOCO reported earlier today that Moore police are recommending three prostitution-related charges: soliciting prostitution of a minor, prostitution within 1,000 feet of a church and transporting for the purpose of prostitution. Today, the State Senate voted to suspend Shortey from his legislative privileges, while reserving the right to expel Shortey. The Oklahoma Senate on Wednesday approved a resolution imposing punishment upon Senator Ralph Shortey pursuant to provisions of the Oklahoma Constitution. “This is not a presumption of guilt or innocence. The Oklahoma Senate has full faith that the judicial system will play out appropriately and bring this matter to a lawful conclusion. This resolution reserves the right of the Oklahoma Senate to pursue further action if more facts come to light. It would be inappropriate to comment any further due to the pending investigation,” said Senate President Pro Tempore Mike Schulz, R-Altus. Legislature and such rules delineate rights and privileges granted to members of the Senate. 8. All pages scheduled as of March 15, 2017, under the sponsorship of Senator Shortey for the remainder of the 2017 legislative session shall be under the sponsorship of the President Pro Tempore, and no additional pages shall be scheduled under the sponsorship of Senator Shortey for the remainder of the 2017 legislative session. THAT the Oklahoma State Senate reserves the right to further exercise its powers pursuant to the provisions of Section 30 of Article V of the Oklahoma Constitution or any other provision of law or rule. With 1st District Congressman Jim Bridenstine keeping his term-limits pledge (*cough*, got that, Congressman Mullin?) and not seeking a fourth term, the race to succeed him is beginning to heat up. Already, four candidates have filed committees with the Federal Election Commission. Coleman announced his candidacy on January 13th, Pendleton filed with the FEC on January 19th, Stockstill filed with the FEC on February 10th, while Hern made his campaign official on March 9th. Andy Coleman served in the U.S. Air Force (with a tour in Iraq), practiced law, and most recently worked at Voice of the Martyrs, an interdenominational ministry serving persecuted Christians across the globe. Kevin Hern is a businessman who got his start in Muskogee, buying two McDonald's franchises in the late 90's, which turned into a larger organization of 10 McDonald's restaurants that employ over 450 people in the Tulsa area. Scott Pendleton is a tech businessman who previously was a journalist, including several years reporting overseas in the Middle East and North Africa. Danny Stockstill has a very rudimentary website up, with the only information available being a donate page. He is the pastor of Brookside Baptist Church in Tulsa. Of the candidates so far, Hern is the prohibitive favorite. Coleman and Pendleton might also be considered serious candidates, but since no fundraising reports have been filed yet by the candidates, it's a little hard to get a feel for how competitive they will be able to be. In the past few days a number of memos, emails and letters have been distributed regarding solutions to Oklahoma’s current budget challenge. This is a sensitive time when well-intended people on all sides of the argument are working hard to create a satisfactory solution to a complex situation. You are to be congratulated and thanked for your service and willingness to tackle these difficult issues. It is also a time to not let emotions control the conversation. It’s a time to focus on balancing a budget and building a state. Solutions we create today will have far-reaching implications. OCPA is committed to continuing to offer strategic and thoughtful policy recommendations for your consideration. Let us clear up one thing. Tradition holds that the Governor presents an outline of policy priorities during the State of the State message. Governor Fallin laid out her plan to address the budget shortfall. We differ with the over-arching strategy, some of the recommendations and the premises that underlie them. For example, we believe there is ample opportunity to look for savings within the state government system. That’s what fiscal conservatives do. One dollar of waste and inefficiency saved is a dollar of new revenue not required. Take education for example. We continue to fund an underperforming, top-heavy, bureaucratic system that is failing children who need an “I am prepared” education. Taxpayers receive a return on that investment of 39th in 8th grade reading and 46th in 8th grade math. Yet, we continue to heed the call of education producers for “more money” without reform and the true cost of our failure is paid for by the unprepared kids. More money without reform will change no outcome and only create a larger, ineffective system. When the narrative is “We have a revenue problem,” we should not be surprised that the only path offered to achieve a balanced budget is to take the easy way out and manufacture more revenue. In this case through a nearly $2 billion tax increase...one that will never go away. That’s one possibility. Another narrative is “there’s nothing else to cut.” That’s another possibility, but our experience and research suggests otherwise. But to do so requires hard work, clear thinking, and a relentless pursuit of carving out marbled waste within the meat of each agency. It risks disappointing someone and we get our hands dirty. So, instead, some want to solve the problem by force – tax increases. This would be like a business going to its customers, notifying them of their money-losing operation and forcing them to pay more or buy more product. Another possibility is to modify our tax structure so we tax work less in exchange for taxing consumption more. Or examine, perhaps eliminate, policies that siphon revenue from state coffers. There are two bedrock issues that are absolutes in building a great state – a dynamic economic environment that encourages the creation of high-paying jobs and an excellent education system that stresses rigor and accountability. Without these, little else matters. OCPA has been criticized by some for constantly saying NO. That refrain has been delivered throughout the halls of the Capitol for years. It is a specious argument with no basis in fact. OCPA has led the charge, and been highly supportive of many significant reforms in recent years. But, when policy reflects a continuous shift to the left and abandons the principles of free markets, individual initiative/responsibility and limited government, we will always say NO. Here’s why the argument is flaccid. OCPA was not the first to say NO. Budget proponents said “No” to conservative ideas. They said “No” to the idea of limited government. They said “No” to the idea of taxing work less in exchange for increasing taxes on consumption and services. Proponents said “No” to the idea of first creating greater efficiency in government. And, their “Yes” to nearly $2 billion of tax increases without reform is not good for the long-term viability or competitiveness of our state. We continue to believe that for Oklahoma to be a high-achiever we must be a smarter, more prosperous state served by a lean, efficient government. That statement is principled and compatible with OCPA’s mission – free markets, individual initiative/responsibility and limited government. OCPA will continue to advocate policies based on conservative principles as an alternative when political expediency ignores them. We encourage you to let your upcoming decisions rest on principle, not expediency. We encourage you to not just balance the budget, but also focus on building a state. You represent your state, not just your district. By your vote you accept responsibility for the outcome those votes create. We believe the OCPA mission – free markets, individual initiative/responsibility and limited government are the decision filters that will produce the best long-term outcomes for Oklahoma. We look forward to continue working with you for the betterment of all Oklahomans and thank you for your service. MIAMI –And the survey says....a four-day school week is favored by a majority of the 517 participants in a Miami Public Schools survey. The Miami Public Schools Board and administration has been looking at the option of moving from a traditional five-day school week to a four-day alternative citing teacher retention and recruitment as the main incentive. The survey was issued in an effort to gain feedback and greater insight from all affected by a move to a four-day school week. Now results are in for the Four Day Survey sent out to parents and the public for participation. The survey drew 519 respondents, of those 441 were parents or guardians, and 78 community members with no children in school. Of the survey respondents, 339 or 65 percent are for a four-day school week, and 178 or 34 percent are opposed. Asked what kind of impact they felt a four-day week would have on students' academic performance 48 percent answered it would be positive, 24 percent responded negative impact, 8 percent answered no impact and 19 percent were unsure of the impact. Asked what impact a four-day week would have on students' supervision, safety and nutritional needs, respondents answered; 28 percent a positive impact, 25 percent a negative impact, 34 percent no impact and 12 percent unsure of the impact. A four-day week's impact on students' extracurricular activities was seen as having a positive impact by 33 percent of respondents, 19 percent a negative impact, no impact by 35 percent and 11 percent were unsure of the impact. The move to a four-day week's impact on recruitment and retention of staff was seen as a positive by 70 percent, negative by 7 percent and having no impact by 22 percent of respondents. 196 comments from the respondents taking the survey were also logged and shared in the survey results. The information gathered from the survey has been shared with the MPS Board, and the superintendent is now in the process of holding discussions with staff. The superintendent said Miami's look at four-day weeks has drawn interest from other school districts and professional education organizations and the State Department. Concern swirls around the issue, and Hogan fears four-day weeks may be caught up in political bargaining. "The big piece up at the Capitol is they're still trying to get teacher pay raises passed through, and I think that's being used a little bit as a bargaining chip. They're wanting to basically force us to go five days and to do that I think it's going to take away some local control. We do have some concerns about a piece of legislation, House Bill 1684, and one thing it mandates is school districts have to develop a plan if they are going to a non-traditional schedule such as a four-day week. This plan has to be very well developed, meet certain criteria, answer various questions and it has to be presented to the State Department of Education for approval." If passed, the measure would grant the privilege of an approved alternative schedule for three years and require reapplication before the end of that period. "So, they're definitely making it tougher even to consider this it looks like to become a four-day school," Hogan said. "There's lots of things to consider and look at. Ultimately getting the conversation started, continuing to converse with our stakeholders and let them know the difficulties we're facing as a school district and encouraging them to let their voice be heard. You know education has taken a back seat for way too long. It's time for us to step out and make it a priority and let our leaders know that it is a priority to us. We've got to have high-quality educators in the classroom because that's where it all starts at if we want our students to be successful." For my wife's birthday, and St. Patrick's Day later this week, this Music Monday is the Irish folk song The Pigeon on the Gate. This week, wildfires burned over 780,000 (1,218 square miles) acres of land in northwestern Oklahoma, and southwestern Kansas, with additional large fires in the Texas Panhandle. 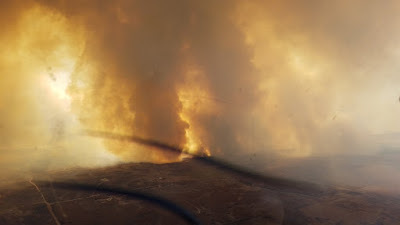 At least seven deaths were reported, and thousands of head of cattle are said to have been lost to the fires, in addition to destroyed grassland, structures, and wildlife. 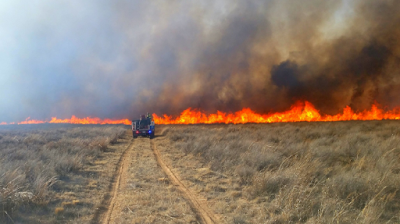 In the wake of devastating wildfires throughout northwest Oklahoma, Oklahoma Farm Bureau has partnered with Love’s Travel Stops and Farm Credit Associations of Oklahoma to fund relief for fire victims. 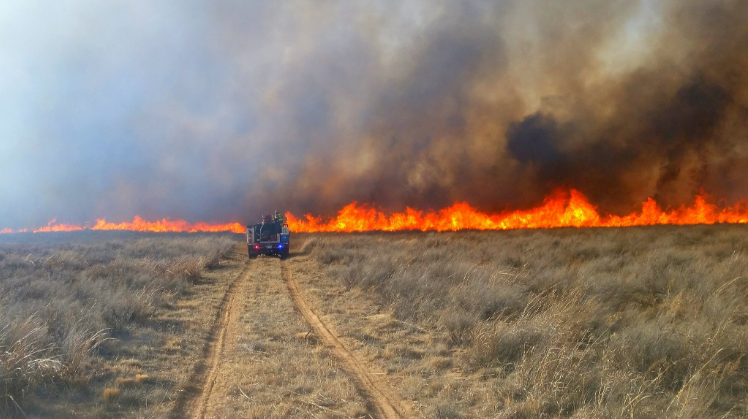 An estimated 1.3 million acres of land have burned, devastating farmers and ranchers throughout northwest Oklahoma, Texas and Kansas. Ranchers in the area are in dire need of feed for the cattle. 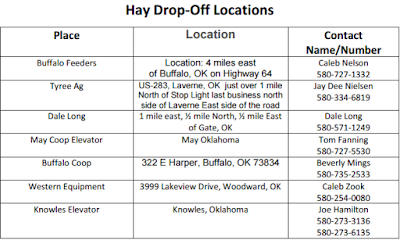 Gift cards will be distributed at the hay drop off locations. If interested in donating additional funds, please contact the Oklahoma Farm Bureau office at 405-530-2681. 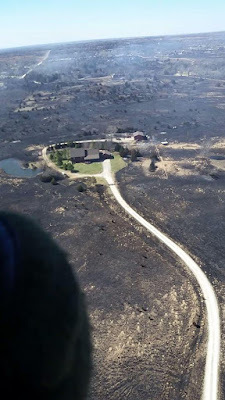 If you would like to donate relief effort funds, please make checks payable to Oklahoma Cattlemen's Foundation and put "Fire Relief" in the memo line and send to P.O. Box 82395 Oklahoma City, OK 73148. 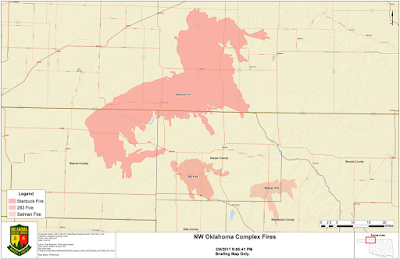 To donate online, visit www.okcattlemen.org. 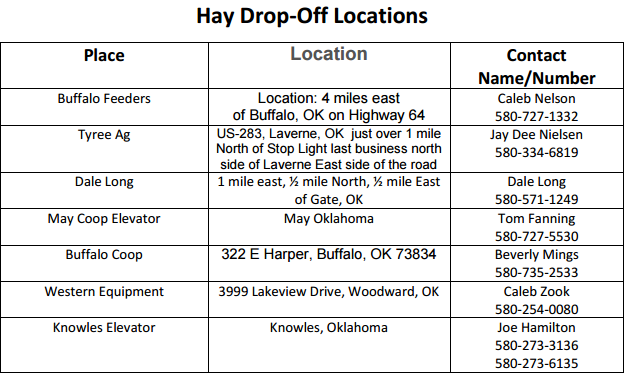 If farmers and ranchers need hay, please reach out to the Harper County Extension Office at 580-735-2252. Get ready for the 2017 Tournament of Waste! Starting with the "Bitter" 16, we are calling on YOU to decide the worst of government waste. Watch the teaser above and stay tuned for selection Wednesday on March 22nd! Learn more about Restore Accountability here. 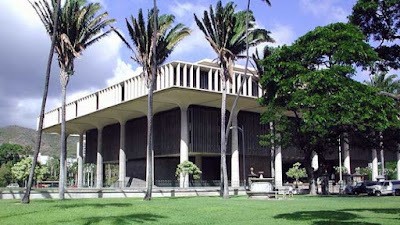 Sailing through the Democrat-controlled senate on a 22-3 tally, a Hawaiian bill that would force the state’s five pro-life pregnancy centers to advertise taxpayer-funded abortions was sent along to the house Tuesday in Honolulu. 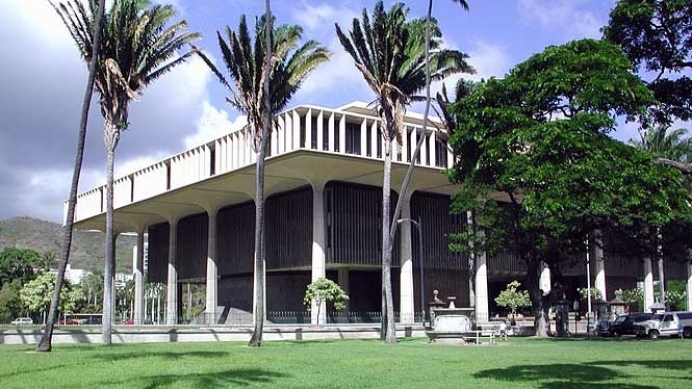 Patterned along similar lines with a 2015 law in California that is likely headed to the U.S. Supreme Court as soon as this year, the Hawaiian senate bill (SB 501) was originally introduced with a parallel house bill, which was on hold as the senate bill went through. Leaders at pro-life pregnancy help organizations on the islands—who receive no state funding whatsoever—had testified against the bill at an earlier senate hearing, but their written testimony was held back from the senate’s Ways and Means Committee ahead of its vote last week. From another article on TheResurgent, NIFLA President Thomas Glessner (a Supreme Court-approved bar attorney) said, "The Hawaii effort to suppress free speech is especially concerning because one of the state’s pro-life centers is housed in a church — which means the church itself would be forced to refer for abortions. This is an egregious violation of religious freedom." The Democratic Party holds all 25 seats in the Hawaii State Senate (the only state legislative chamber with no minority party). Tulsa, OK – Tulsa business owner Kevin Hern announced today that he is running in the 2018 1st Congressional District election. “I am the right person with the right experience at the right time to help jump-start economic recovery for our state and the nation. As the owner of KTAK Corporation, Mr. Hern identifies companies that need strategic growth leadership and provide avenues for capital participation. Mr. Hern currently owns and operates 10 McDonald’s restaurants that employ over 450 people in the Tulsa, Oklahoma area. Mr. Hern has worked in the McDonald’s system since 1987 and became a franchisee in 1997. For the past 5 years, Kevin Hern has served as the Chairman of the Systems Economic Team for over 3,000 U.S. franchisees. For more information please go to www.hernforcongress.com or watch the video on YouTube. 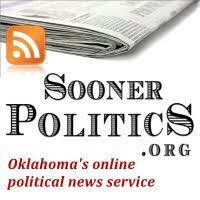 The Oklahoma State House passed HB 1114 on Tuesday by a vote of 92-7. The measure, authored by Rep. Michael Rogers (R-Broken Arrow) and now co-authored by 56 other representatives, would give teachers a $6,000 pay raise phased in over three years. Problem is, there is no funding. This is a completely unfunded mandate. State Rep. Josh Cockroft, a member of House leadership, said this about the measure: "Since the appropriations process is not yet to the point to where we know where funds will come from to pay for this plan, this policy part was passed first." Essentially, we have to pass the bill before we find a way to fund it. Passing a teacher pay raise is the popular thing to do right now. It's politically expedient. It has been one of the top three issues for the past two legislative sessions and election cycles, but with the budget shortfalls there has not been the necessary funding available. Oklahoma is facing a shortfall this year of nearly $900M. The cost for the first-year pay raise of $1,000 is about $52.7M. The second-year phase (additional $2,000 raise) will cost about $158.7M, and the final phase (additional $3,000 raise) will be around $316M. Notice that the measure is back-loaded... much like the "savings" in federal legislation that never come to fruition. Obviously, raising teacher pay is a laudable goal, but passing a pay raise with no funding is deceptive and irresponsible. It's akin to telling your children "Hey! We're taking you to DISNEY WORLD next week! Assuming I get a big surprise bonus at work tomorrow, which there's absolutely no indication that I will. But... DISNEY WORLD!" 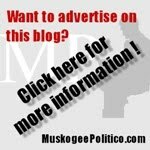 Freshman State Rep Avery Frix (R-Muskogee) has been touting his HB 1115, which "would prohibit the Legislature from enacting new mandates for schools unless funding is provided." These two measures absolutely contradict each other. Raising teacher pay is a nice goal, but it doing it without funding is misleading to constituents and especially to teachers. This bill appears to just be a way to say "I voted for a pay raise". If you're going to pass an unfunded pay raise, why stop at $6,000? Make it something big, like $10,000, or $25,000! Legislators like to rail against unfunded education mandates. HB 1114 is a nice goal, but at this point, it's just another unfunded mandate. Mike McCarville, legendary Oklahoma journalist and political commentator, passed away early this morning after a lengthy illness. A legend in his field, McCarville had a storied media career, ranging from newspaper to television (KWTV) to radio (KOSU, KGWA, KTOK, NRANews), was Gov. Dewey Bartlett's press secretary, and published The McCarville Report since 1980 (in print, then online beginning in 2006, I believe). Mike served in the Army from 1958 to 1961, was inducted into the Oklahoma Journalism Hall of Fame in 2013, and received the Ronald Reagan Lifetime Achievement Award from the Oklahoma Republican Party in 2015. The godfather of Oklahoma political reporting, his print and later web writings have been a staple among state political movers and shakers for over three decades. His political blog inspired other bloggers, myself included, to begin writing. 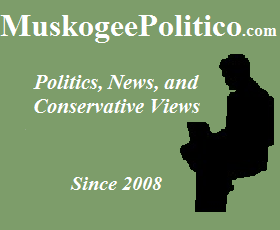 Called at one point the "gold standard of political blogs" in Oklahoma, and banned in Red China, McCarville's blog was the go-to site for political news in Oklahoma. Since 2015, one of his goals has been to see civil asset forfeiture reform passed in Oklahoma, and Mike strongly pushed State Sen. Kyle Loveless' efforts to do so (his words from April 29, 2015 were: "This plague on our state and nation is my 2015-2016 pet peeve project. There is a chance we can get the Oklahoma law repealed if we raise enough hell about it. Law enforcement will protest that their budgets will be cut. That is no justification for this outrageous violation of rights. That drum beat you hear is me, out here marching around with my drum sticks."). 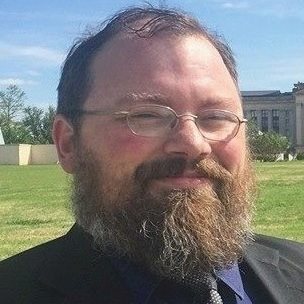 Mike's death signals the end of an era in Oklahoma political journalism and blogging. He was 76. Read the announcement post by his co-editor Jason Doyle here. State Sen. David Holt (R-OKC): "One of the most legendary names in Oklahoma politics has passed, and it wasn't a politician. For decades, Mike McCarville and his McCarville Report set the bar for political news. His namesake web site may live on, but we mourn the loss of the man. Rest In Peace, Mike McCarville." State Sen. Kyle Loveless: "RIP I got to really know Mike on KTLR when I was host of Tailgate Political Hour with Keith Gaddie - Mike came on once a week and I learned more in that hour than all my time in classroom- Gentleman, Father, Grandfather and Journalist you will be missed"
Mayor Mick Cornett (R-OKC): "Already missing my friend Mike McCarville. He was our most frequent guest on 'The Verdict' with more than 20 appearances through the years." Matt Pinnell: "A trailblazer. Passionate conservative and one heck of a journalist. RIP, Mike." 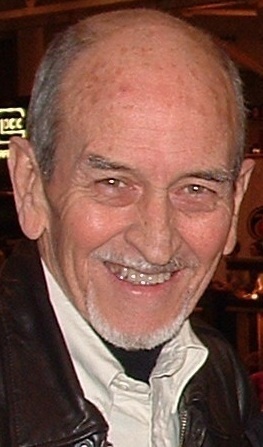 Anthony J. Ferate: "Oklahoma has lost a legend with Mike McCarville's departure of this vale of tears. May peace be with his family and all Oklahomans that regarded him as I did. May his memory be a blessing." Cam Edwards (NRA): "Mike McCarville was my friend and mentor. Please keep his family, including his wife of 55 years, Ann, in your thoughts and prayers." Howard Houchen: "Legendary Hall of Fame Journalist/Broadcaster, Mike McCarville passed away at 4:15am this morning. I thought the world of "Sir Mike" and valued his advice and political stories over the years. He will be missed, never forgotten." Ed Goeas: "Rest in Peace Mike. My prayers go out to both him and his wonderful family. In forty years of working Oklahoma campaigns I always found him to be one of the top “GO TO” voices of Oklahoma." Mike Edwards: "Saddened to hear of the passing of Mike McCarville. He was a trailblazer and giant in covering Oklahoma politics for decades. Before Drudge, before the Huffington Post, there was The McCarville Report. I will truly miss reading his insight and analysis." Josh Kivett: "RIP Mike McCarville - an Oklahoma original, conservative icon and legendary journalist." Charles Hill (also a blog post here): "This local media scene owes much of its very existence to Mike McCarville: he was blogging before there were any such things as blogs. RIP." U.S. House Republican leadership finally released their version of ObamaCare "Repeal & Replace"....... complete with practically no Repeal, and more Repair than Replace. President Trump is making it clear that he supports this plan. Vice President Pence, sadly, is out essentially telling House Republicans that the choice is either full-blown ObamaCare or this (which is ObamaCare Lite). Republicans told us for seven years that if we gave them the House, they'd repeal ObamaCare. We did, and then they said "give us the Senate, and we'll repeal ObamaCare". We did, and then they said "give us the White House, and we'll repeal ObamaCare". We did, and now Republican leadership is balking. In 2013, Mitch McConnell told CPAC attendees "Obamacare should be repealed root and branch." Paul Ryan and others repeatedly told us they would "Repeal and Replace" ObamaCare with conservative, free-market proposals. This strategy of simply amending portions of ObamaCare is not the answer. Congress passed a repeal bill in 2015. There is no reason why they can't do it again. Sens. Rand Paul and Mike Lee, as well as members of the House Freedom Caucus, have re-introduced measures identical to that legislation. This proposal is opposed by Heritage Action, Club For Growth, Americans For Prosperity, FreedomWorks, many members of the House Freedom Caucus (including Oklahoma's Jim Bridenstine), conservative Senators like Mike Lee, Ted Cruz, and Rand Paul. Just about every trusted conservative organizations and member of congress is against this. 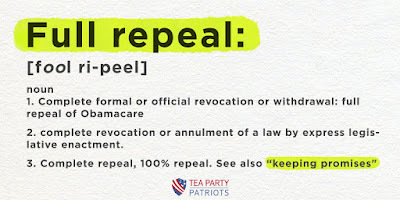 Republicans were elected to power based on the promise of full repeal. We expect nothing less than full repeal. Keep your promise. Full repeal of ObamaCare.